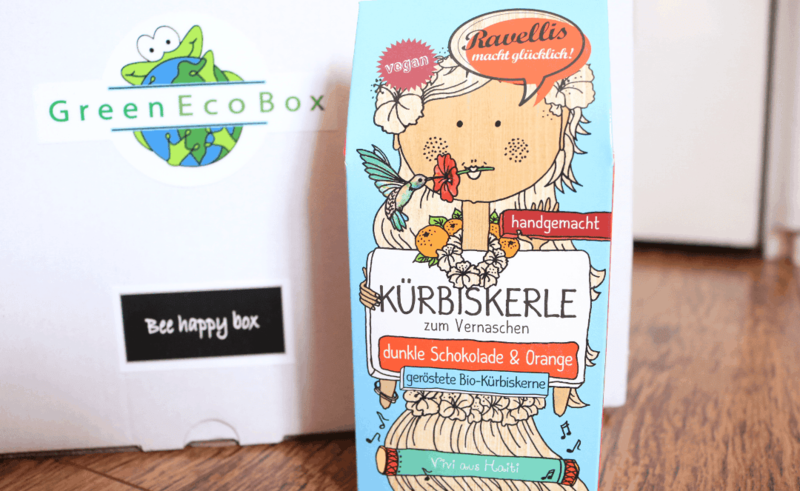 GreenEcoBox‘s Bee Happy Box is a monthly lifestyle based subscription box that celebrates eco-friendly artisans and smaller companies. 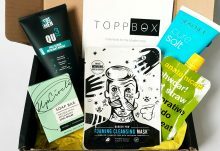 They work with over 70 artisans from across the UK, Europe and overseas, so you can always look forward to discovering some really awesome products in the box that you probably won’t be able to find in the shops! 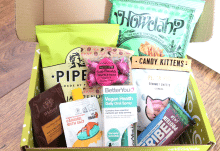 Not only that, but for every Bee Happy Box sold, GreenEcoBox donates £4.50 to Greenpeace to support environmental projects, as well as planting a tree in Haiti on your behalf by OneTreePlanted, which gives you a lovely feel-good factor every month. From the German artisans Hasel Herz, there is a delicious jar of their popular Susse Nuss – a tasty hazelnut-based spread that’s made from only two natural ingredients. It’s a great alternative to mainstream spreads that contain sugar and palm oil, so if you’re looking for a healthier option for your morning toast or porridge, this is definitely for you. Next up, there’s another yummy German treat, this time from Ravellis. This pack of Organic Roasted Pumpkin Seeds are coated in a generous layer of Dark Chocolate and Orange for a sweet, yet still healthy, snack whenever you need a pick me up. I love them! 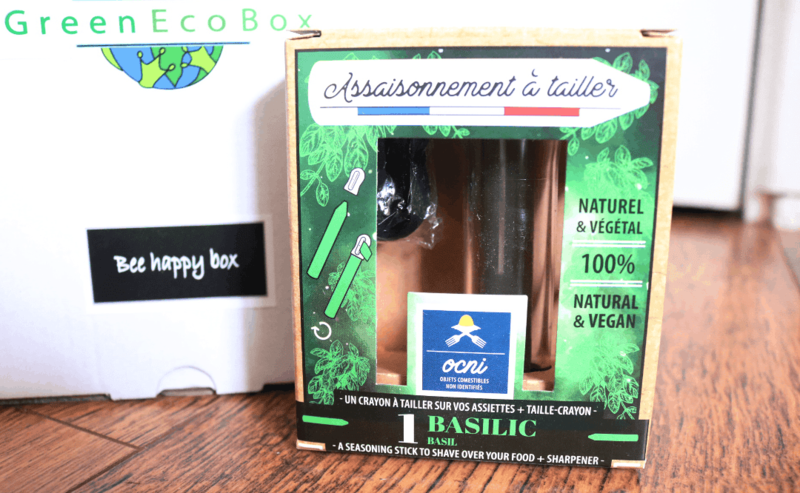 I must admit that I had no idea what this was at first because I’ve never come across a ‘Seasoning Pencil’ before, but this concentrated tube of 100% all-natural Basil comes complete with a pencil sharpener so that you can just ‘sharpen’ off a bit to add to your favourite meals. I use a lot of Basil in my home cooking so I’m looking forward to trying this out. 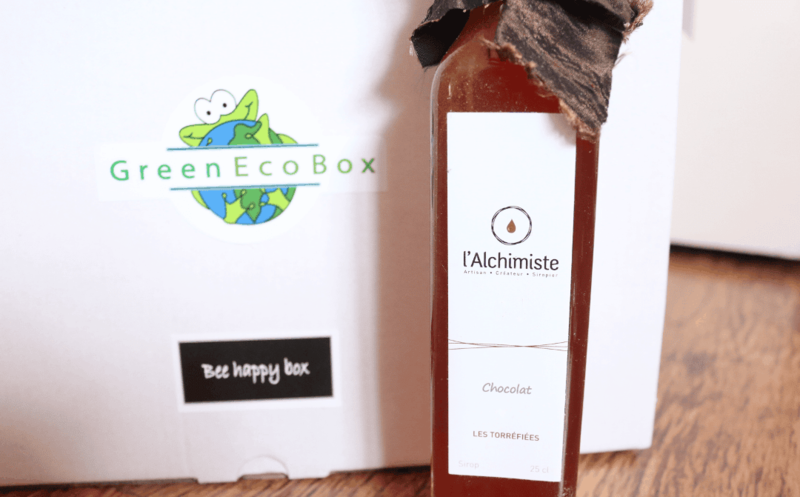 Treat yourself this Christmas with this scrumptious handmade Chocolate Syrup from the French artisans L’Alchimiste. Made without preservatives, artificial colours or flavours, this all-natural syrup is delicious drizzled generously over porridge, muesli, pancakes, waffles, cakes – anything really! The last main product is from Soapology which is made here in the UK. Inspired by the popular cocktail, this Mojito soap is handcrafted from 100% natural ingredients and has a lovely fresh and zingy scent thanks to Peppermint and May Chang essential oils. It’s vegan-friendly and made without palm oil, plus Soapology donates 1 soap for every 10 sold to families in need. 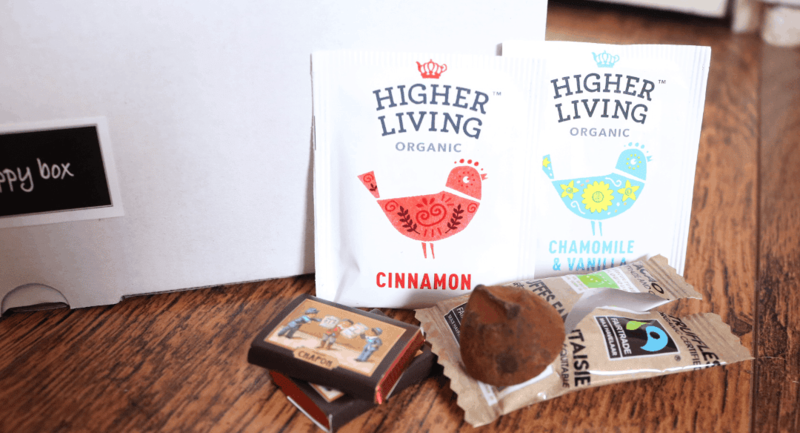 To complete the box, there’s a packet of extras which include fairtrade French chocolates and two teabags from Higher Living Organic – thank you GreenEcoBox! 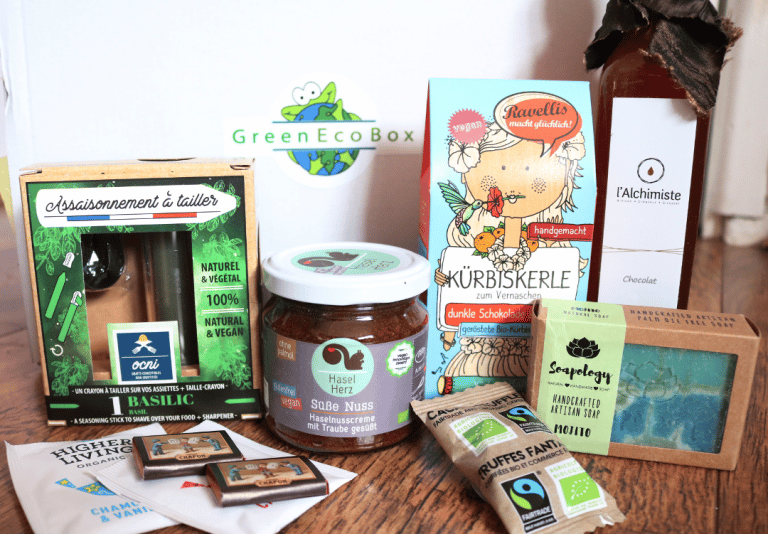 A lovely box from GreenEcoBox with lots of new foodie discoveries and a gorgeous eco-friendly soap!